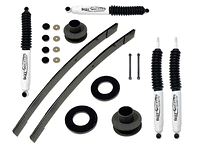 Hellwig 3500 lbs heavy duty helper springs for the Ford F250 give you the benefit of maximum level payloads. Using easy to mount ubolt clamps, these heavy duty helper springs mount on top of your existing F250 stock rear leafs springs. 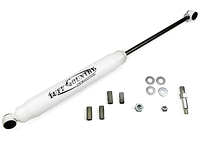 Designed to help prevent excessive body roll, helps to restore sagging leaf springs and stabilizes your vehicle for a mored controlled ride when towing or hauling. Will not fit on vehicles equipped with factory overloads unless the factory overloads are removed and discarded. Never load your Ford F250 beyond the manufacturer's maximum gross vehicle weight rating. Will these be ok for a 2014 Ford Super Duty crew cab? 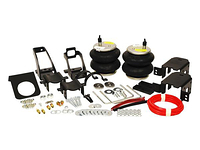 Yes part # 3511-25301 will fit your 2014 Ford Super Duty crew cab. After making an additional set of brackets the helper spring set fit over my u-bolts. The difference in the ride while towing is great. Just before you start the installation make sure the helper spring bracket fits correctly. I'm using the helper springs to add a little more stability for towing a 35 ft. toy hauler. I have the springs set at their lightest tension, (Nut & locknut at the end of the spring shackle bolt) since this truck is my daily driver. 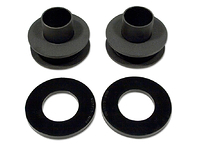 The springs help keep the truck level and dampens the bounce going down the road. Once the tongue weight is on the truck the rear goes down 2.25inches measured at the wheel well, the front unchanged, where before without the helper springs, the rear almost 4 inches, the front raised 1.5 inches. Super easy installation, works very well. Very easy to install took no time at all. Driver of truck loved them! said it made the difference of night and day in the handling of the truck on the road! i highly reccomend this product to anyone. 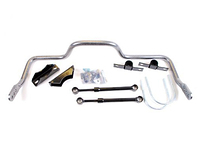 this will give your ride a much better ride and will stop any sag your vehicle may have. This kit has been just fine after the quick install. it has helped a lot pulling my 5000 lb. trailer. it has reduced the sag by about 75%.. been working great, ride is smooth, and lastly a quick install.